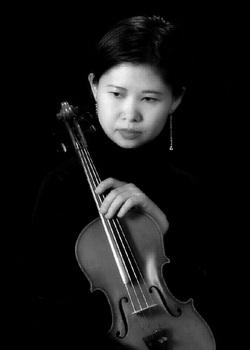 Qiong Hulsey currently serves as Principal Second violin for the Utah Symphony. Prior to that, she was with the Fort Worth Symphony Orchestra for eight years. From 1999 to 2001 she played in the Florida Orchestra, conducted by Jahja Ling. Mrs. Hulsey began playing violin at age 5; her father was her first teacher. She received her Bachelor of Music Performance from Xinhai Conservatory in China, and was concertmistress of the Xinhai Conservatory orchestra during that time. She was also a finalist in the Chinese National Competition in 1990. In addition, she was appointed to make a recording that included 38 pieces by various composers for young children by the Ministry of Education of the city of Guangzhou.